Love, Literature, Art and Reason!! Okay, I'm going to not do the best full response for this since I'm going to use two of the photos from last week's post. I'm in Denver, so not having as much time to put up cover photos. Wooow. Soooo many beautiful collors. OOoh nice! I love seeing the organization by color, though my OCD tendencies could never let me arrange mine that way! LOL! 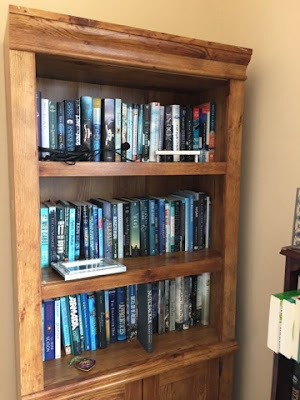 This makes me want to color-code my book shelves, it's so visually appealing! 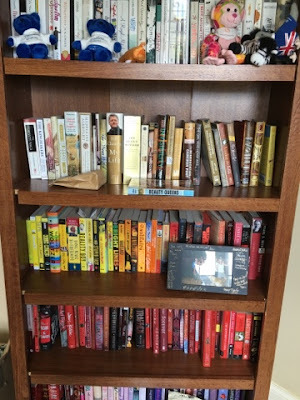 I SO love and admire a color coordinated bookshelf! I can't even get a coordinated bookshelf beyond, "Same or similar general category," and "Favorites." Already a follower, of course!